For those of you who missed it, in September last year, a brand spanking new textile magazine – Fabricate – was launched. And the 2nd issue (Summer 2016) isn’t long published. A celebration of all things textile in New Zealand, Fabricate aims to profile artists, craft practitioners, techniques, products and resources, education, textile tours and travel, exhibitions and events, ethnic and traditional textiles, conservation and preservation, technological developments, sustainability projects and contemporary issues. 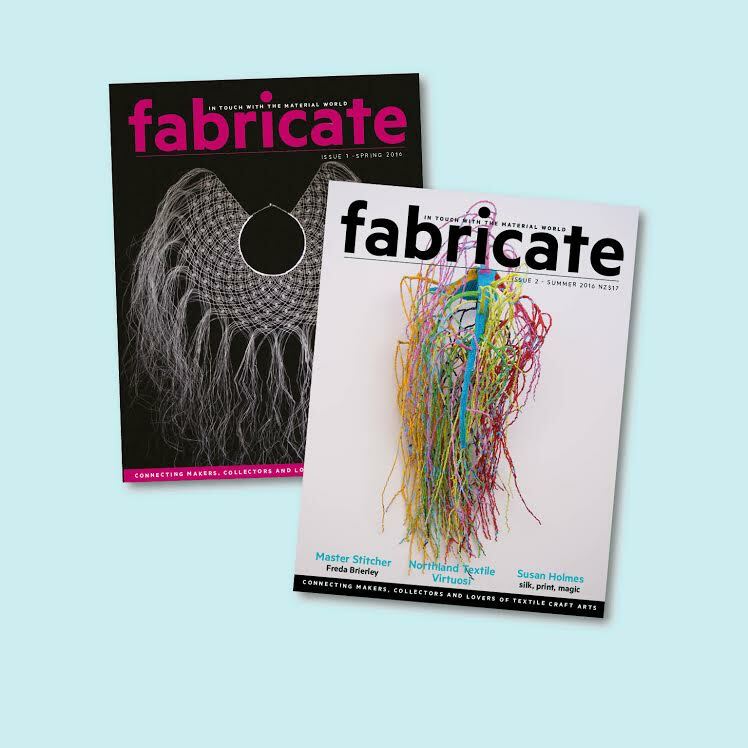 Felting, weaving, spinning, knitting, knotting, stitching, crocheting, piecing, sewing, quilting and embroidering – whatever your textile tipple this quarterly promises something for you. This entry was posted in Craft, Fabric, Journal, Magazine, Media, New Zealand, Publications, Reading, Shopping, Textiles. Bookmark the permalink.